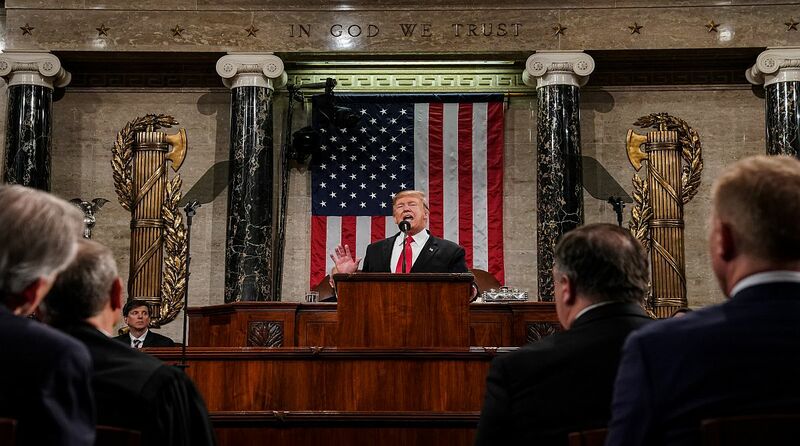 US President Donald Trump appealed to Congress Tuesday to unite at a moment of deep partisan division as he made the case for a new era of compromise on immigration and security in his State of Union address. Trump’s second State of Union address came with the Democrats vowing to use their new control over House committees to launch multiple investigations into everything from his charity foundation and tax returns to possible collusion with Russian meddling in the 2016 election. Trump had accepted House Speaker Nancy Pelosi’s invitation to deliver his State of the Union address on February 5, putting Trump on track to deliver his prime-time speech to a nation still reeling from the longest government shutdown in history. Pelosi had stood firm and got Trump to concede to reopen the government earlier in January without getting any of the $5.7 funding for his long-promised US-Mexico border wall. The 35-day partial shutdown ended on January 25 with Trump agreeing to temporarily reopen the government without any money for his wall. The annual speech had been initially scheduled for January 29, but Pelosi suggested Trump postpone the address due to the partial government shutdown.